DBP Plastics has over 55 years of experience in the development of plastic packaging according to the injection molding process. The company provides standard packaging designs from stock or custom made packaging. 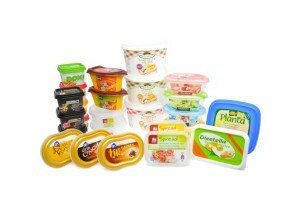 DBP produces food contact plastic products for the packaging industry, for household and promotional articles. “We have several reasons why we started using FOCOS in July 2014. From the customers point of view we experience that existing and new customers have more knowledge and are more demanding concerning food contact documentation. Sending a Declaration of Compliance without mentioning details about substances with a restriction or dual use additives is not accepted anymore. For the internal organization, working with different types of plastics, different master batches, liquid master batches with different SML’s and dual use additives is not manageable anymore without a system supporting the necessary compliance work. With FOCOS we send a DoC to one or more customers, automatically (pro-active). Especially after a change in the specification, this saves a lot of time and work, in comparison with the manual processing of documents. DBP sends complete and correct DoCs’ to customers. This differentiates us from competitors and trading organizations. FOCOS gives us a commercially competitive advantage.